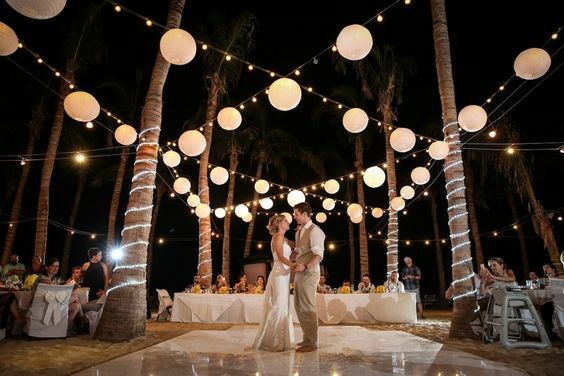 Fill out our destination wedding questionaire to learn more about the resort that you want to host your destination wedding, pricing for you and your guests and much more! Feel free to fill out this questionaire if you are interested in receiving a price quote from us on a Sandals or Beaches Destination Wedding. Our quotes include all resort information, pricing inormation for the bridal suite and weding guests. It also includes ideas for activities for your group and some really awesome photos! Now onto the wedding details. What price point are you comfortable spending on your Destination Wedding, not including accomodations. Symbolic Wedding Ceremony - Married in the states and just perform the services in another country. Legally Binding Ceremony - We will assist in making the marriage legal by following the laws of the country you are marrying in. This would be estimated as in the Caribbean it is sometimes easier to get married during the week -after all you are on vacation! What kind of reception would you like? How many total guests are you planning on inviting - the more you invite the more that attend and the more FREE stuff we can give you! How many guests do you think will actually attend? At what time would you like to get married? Do you have some idea on how you want your wedding to go and/or look? Information to assist you on choosing which resort to host your wedding. What price point are you comfortable spending on your accomodations and flights? What price point do you think your guests would be comfortable paying, including airfare? Will you have any guests with special needs? What do you imagine your room to look like? Which island would you like to go to? Please choose 2, if you are unsure feel free to leave blank. This may help: Bahamas is a 45 minute flight from Miami. Jamaica is a 90 minute flight from Miami. Antigua is 3 hrs. and 5 minutes from Miami. St. Lucia is 3 hrs and 20 minutes from Miami. Barbados is 3 hrs and 35 minutes from Miami. Grenada is 3 hrs and 35 minutes from Miami. Which brand do you think suits you? Sandals - Couples only, children would be allowed for wedding times only, and would need to stay at a Beaches Resort. Beaches - For families of all sorts and sizes! Fowl Cay - Private Island in the Exumas, Bahamas for families of all sorts and sizes. Villa living. Do you have a preference on resort? Choose two, if you are unsure, feel free to leave blank. No matter what kind of vacation mood you're in, Sandals has a resort just for you! Pick 2! Active - You crave action and adventure, the undiscovered and exotic. Sophisticated - You must be immersed in total luxury and pampered every minute. Laid Back - Your happy pace is relaxing on the beach beneath palm trees. Scuba - You can out swim any fish any day & your favorite outfit is a wetsuit. Socializer - Lively & Social, you want to play with old friends and new. Gof - Your idea of perfection is a dream on the green. Tennis - You've got game and you love to serve. Meeting & Incentives - You're ready to get down to buiness. Has "Stay at 1, Play at 3"
Any thing else we need to know about you the couple, your guests or your wedding? Thank you! We will be contacting you within 24 to 48 hours.